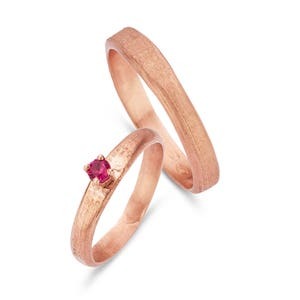 Wedding rings CAESAR and CLEOPATRA. 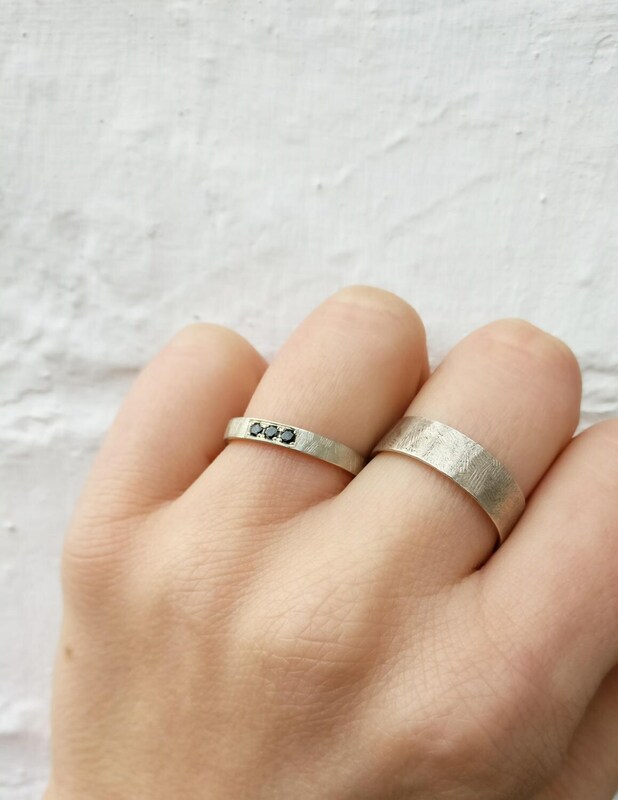 Silver 925 rings with a fine matt lining pattern. 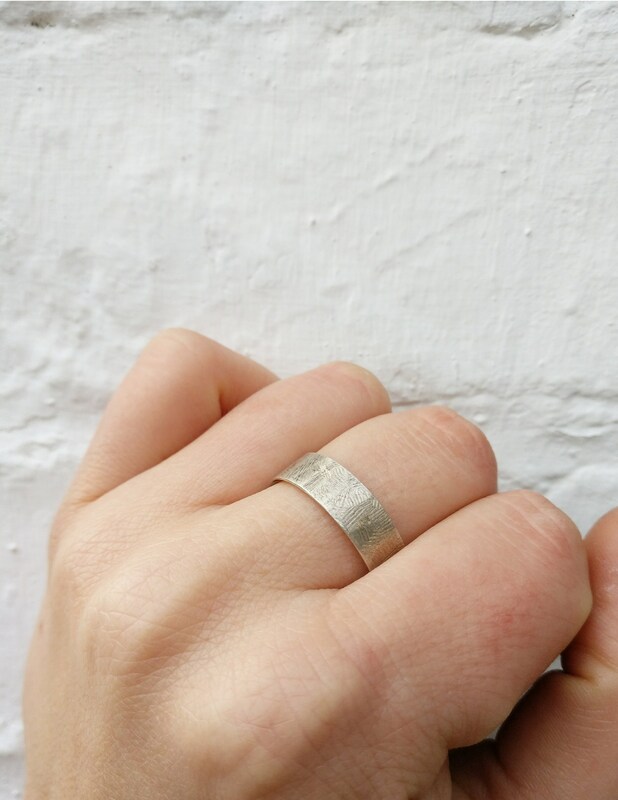 Silver 925 matt ring with a rough lining pattern on top of the ring. 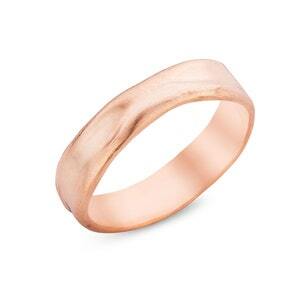 The ring is created out of one piece in solid silver. 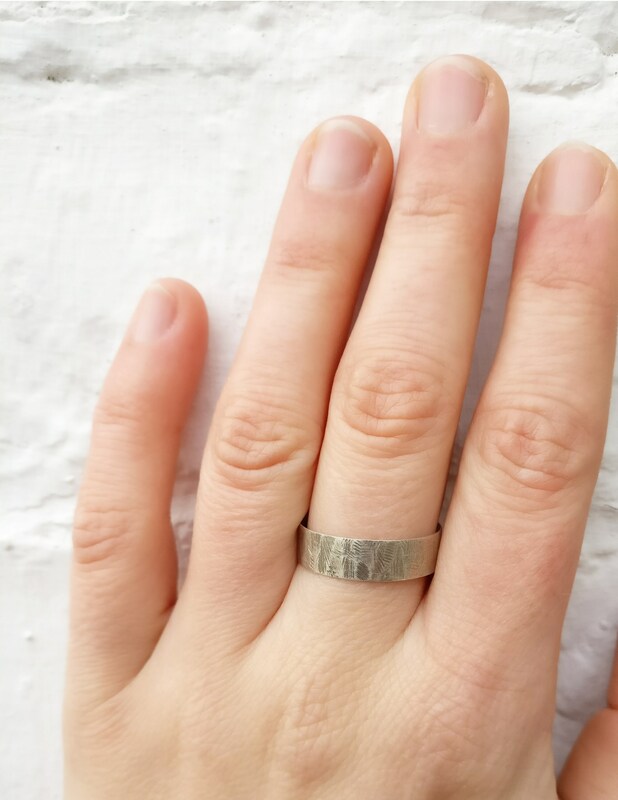 The ring is signed on the inside with my master-stamp and completely made in Sterling silver. Choose the option you want. 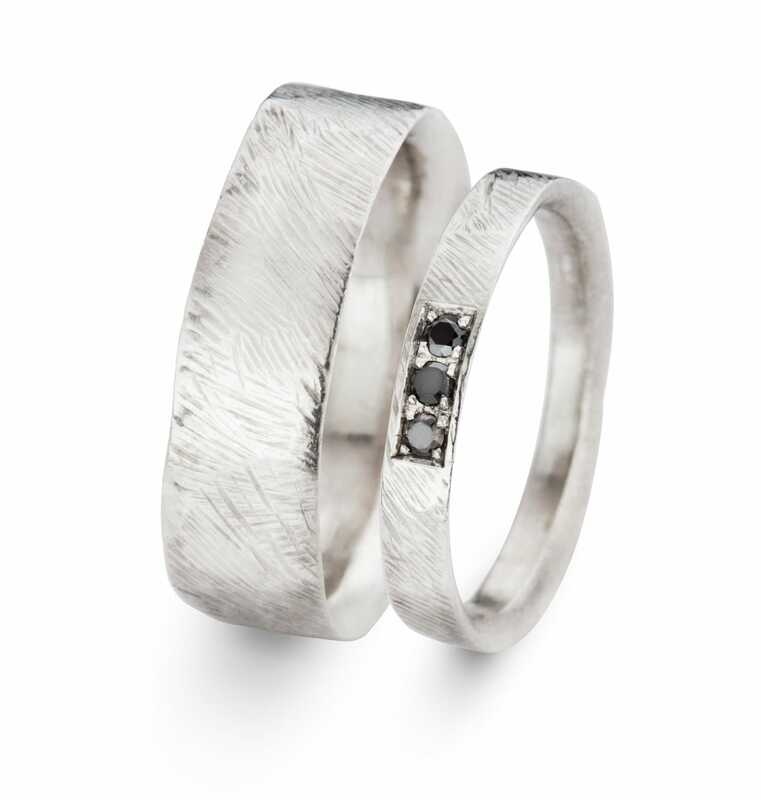 Silver 925 ring with texture and 3 little brilliant cut CUBIC ZIRKONIA. The stones are set. 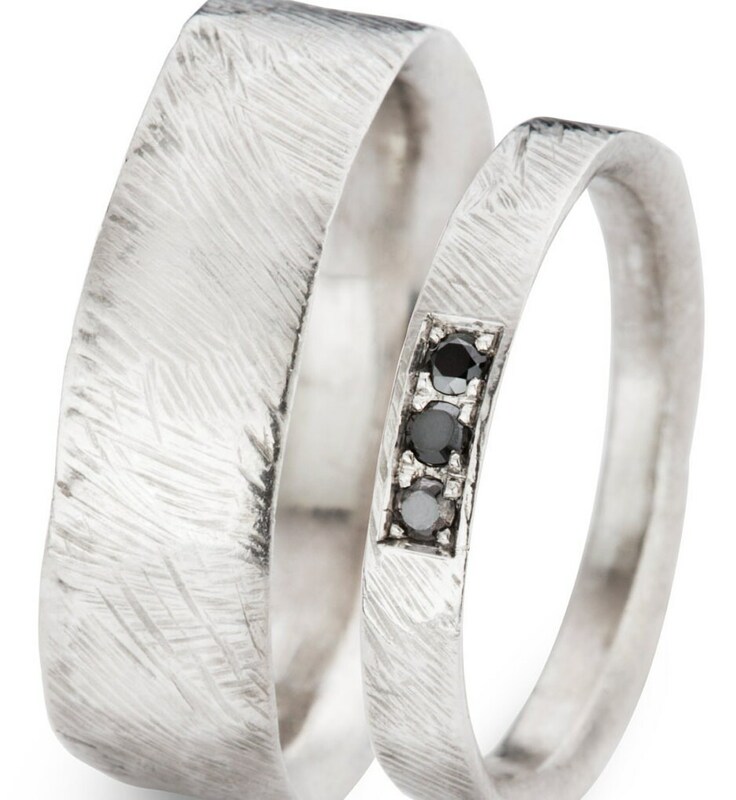 The ring is created out of one piece in solid silver by the lost wax technique. 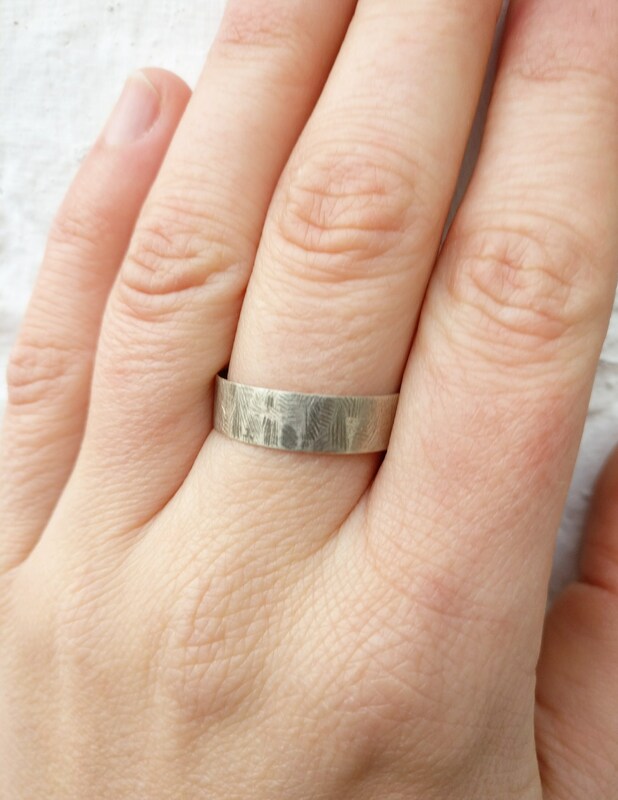 The ring is signed on the inside with my master-stamp and completely made in Sterling silver. 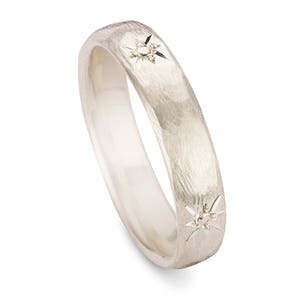 The ring is possible in 14 or 18K white, red or yellow GOLD with DIAMONDS and wider or smaller -> custom made rings, just for you. 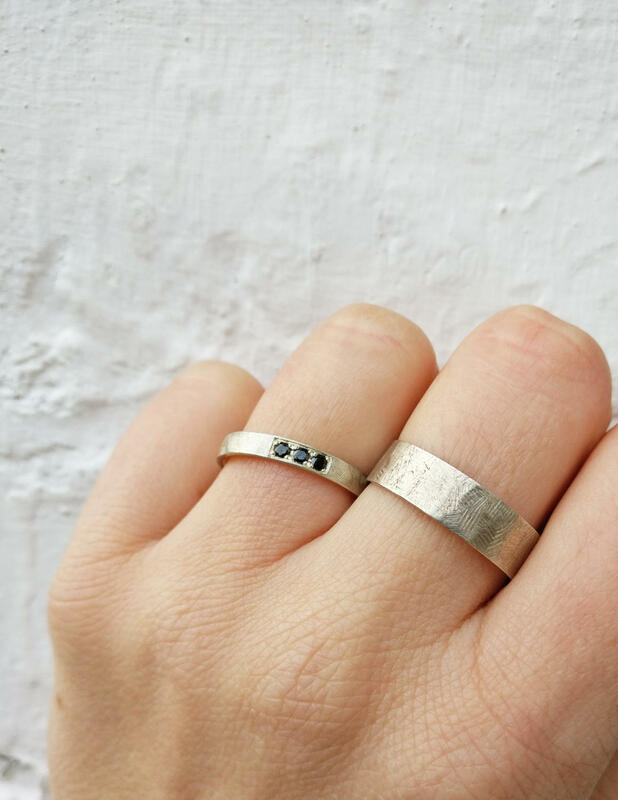 Every ring is unique, because the pattern is handmade and always a little bit different. Don't hesitate to ask for prices, It's to difficult to put a price with the ever changing gold price. 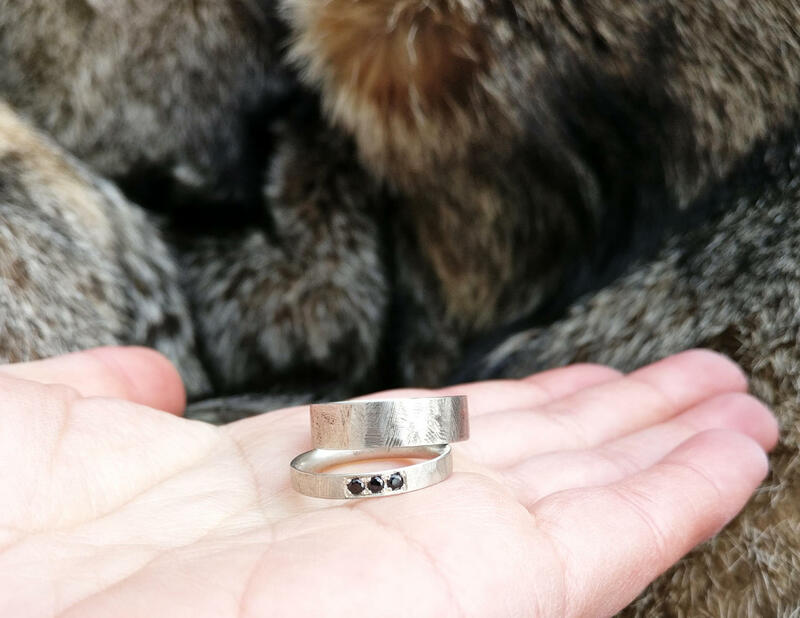 The ring will be made in your size in my workshop in Kessel-Lo, Belgium. This will take 4 weeks. The ring comes in a nice white jewel box with certificate. You can take this box to the ceremony. Wedding rings BONNIE and CLYDE. 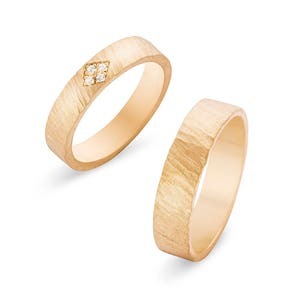 Wedding rings NEFERTITI and RAMSES.